Upon her passing in 2016, PBMG's longtime teacher, Ani Trime Lhamo, left the group her large collection of books. These have become the core of a lending library hosted in PBMG's space at 291 Witherspoon. 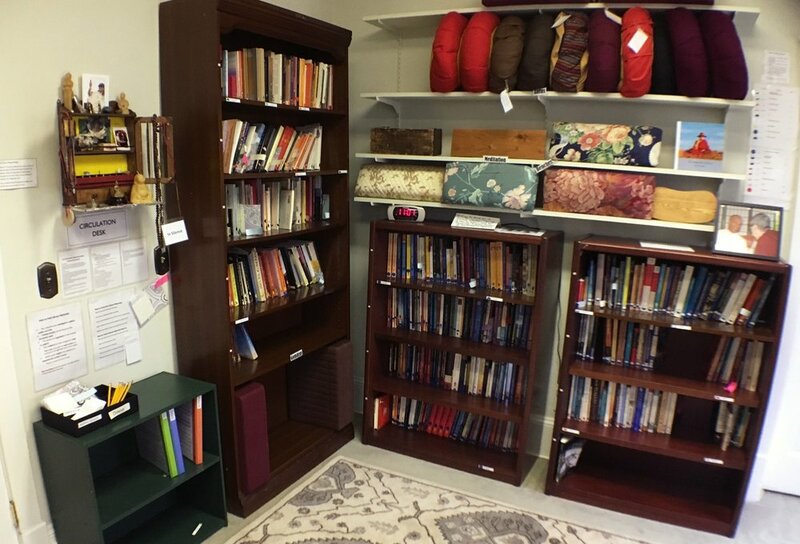 The collection includes books on various schools, practices, and aspects of Buddhism; volumes on other spiritual topics and on the study of the mind; collections of poetry; and a few related reference works and periodicals. Video and audio recordings will also eventually be available. Anyone interested in the holdings of the Ani Trime Library may check items out. There are just a few simple borrowing policies to ensure the safe return of these books, which are precious to us.